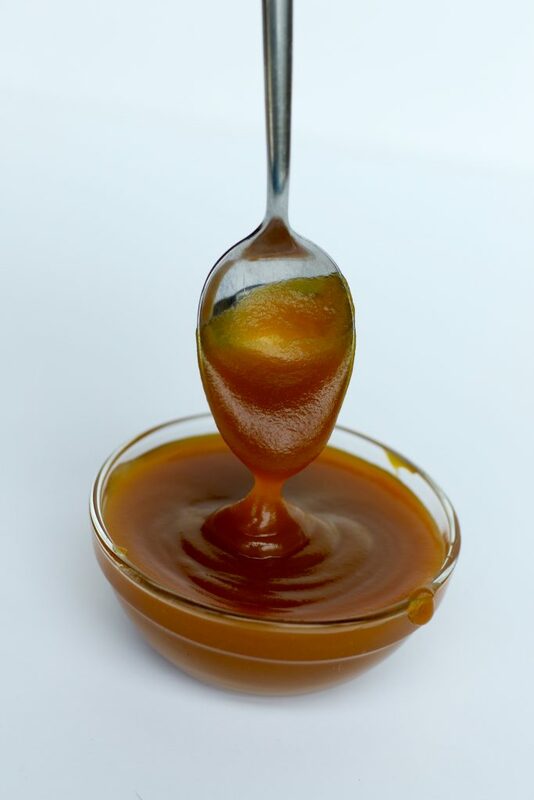 There are several homemade caramel recipes out there, but this one stands out from the rest! Made with only natural, dairy-free ingredients and unrefined sugar, this recipe taste so much like the real thing you will never guess it is made from sweet potato! Is there such a thing as a “food patent”? 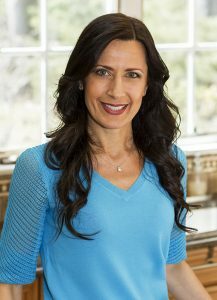 I love transforming recipes into “wholesome goodness”. When Kid 1 approached me and said, “Mama, you should make caramel!” he certainly had my wheels turning. 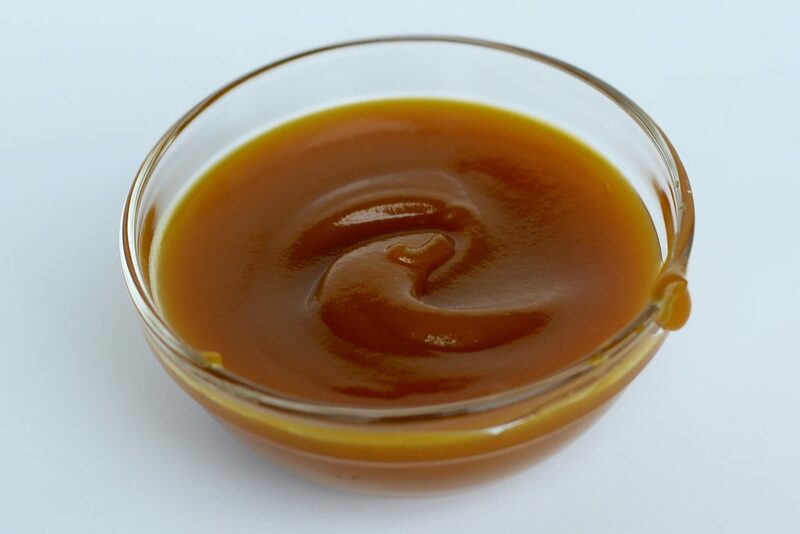 How on earth can I substitute a classic caramel recipe made from heavy cream and refined sugar into something just as tasty yet super healthy? 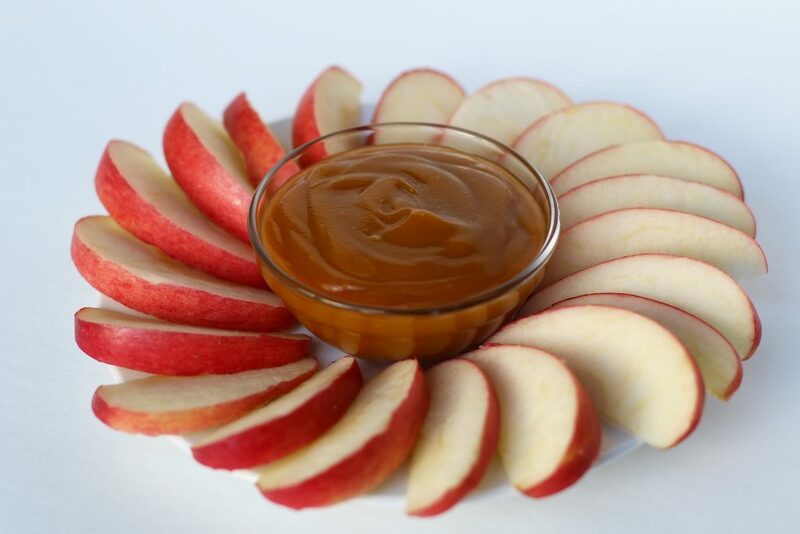 The truth is, I love caramel and with my lack of self-control, I had to make something that was not only dairy free and nutritious, but guilt free as well. Now I don’t have to feel bad when I add a little extra syrup on my fruit. 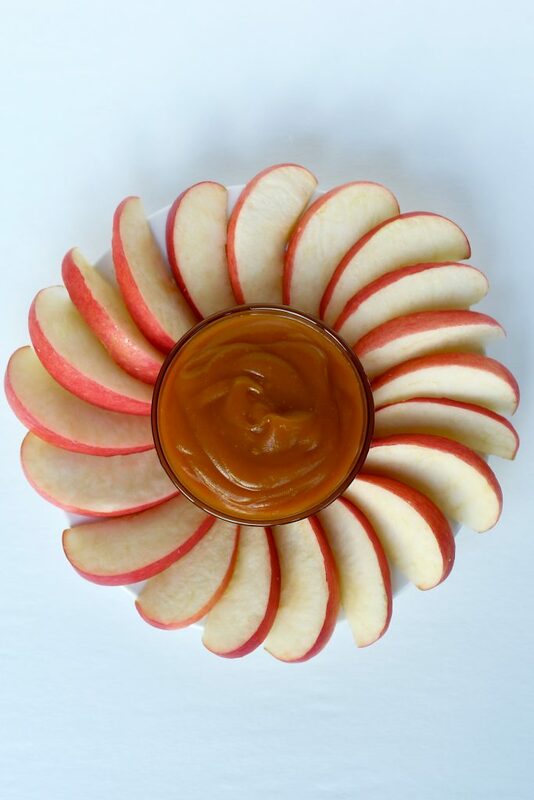 Homemade vegan caramel recipes either required full-fat coconut cream or a nut butter. As you may be aware, although those ingredients contain monounsaturated fats, which are great for lowering cholesterol, too much of anything is not good for you. Coconut cream is a rich, plant-based food that is high in calories and saturated fats, so it is best to eat it in moderation. However, it is not necessary to omit this amazing superfood from your diet completely since it contains several vitamins and nutrients. With that being said, I did pass on the nut butter and decided to just include a bit of coconut oil to give it a smooth and silky consistency with an added boost of heart healthy goodness. How did I come up with sweet potato as my main ingredient you might ask? Well, I should let you know I love the “wow” factor that some of my recipes receive when I tell them the secret ingredient. “You put WHAT in there? !” Yes, I thoroughly enjoy combining veggies with my desserts. Here are a few shockers that turned out to be a huge success! You have to try my Vegan Buttercream Chocolate Frosting made with avocado and cauliflower! It’s out of this world!!! Or my Ultimate Walnut Brownies Recipe made with spinach and chickpeas. And I can’t forget my Gluten-Free, Vegan Chocolate Chip Breakfast Cookies made with sweet potato and spinach. Delicious!!! 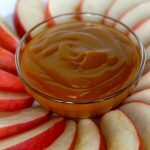 For my latest recipe, I needed to find an ingredient that had the right consistency and flavour that would not interfere with the true taste of caramel. Frequently, when I make sweet potato the juice of the potato comes oozing out. I often wondered if I could make a syrup out of this caramelized liquid. Instead, I decided to throw the entire potato into the mixture and presto, a silky, sweet, buttery syrup was born. 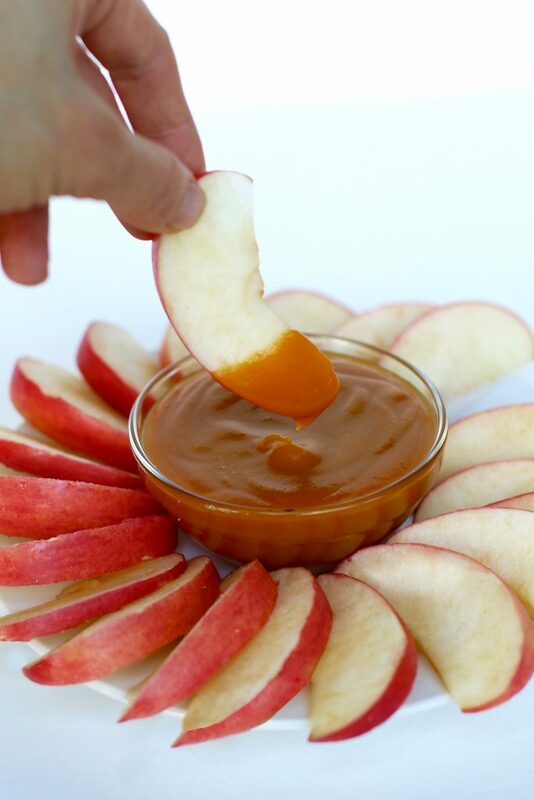 Drizzle a little on your favorite dessert like a nice bowl of ice cream or just use it as a dip for some tasty apples. You can’t go wrong giving this recipe a try! The “Mad Scientist” was at it again and boy did I come up with a simple, 5 ingredient recipe that is out of this world! 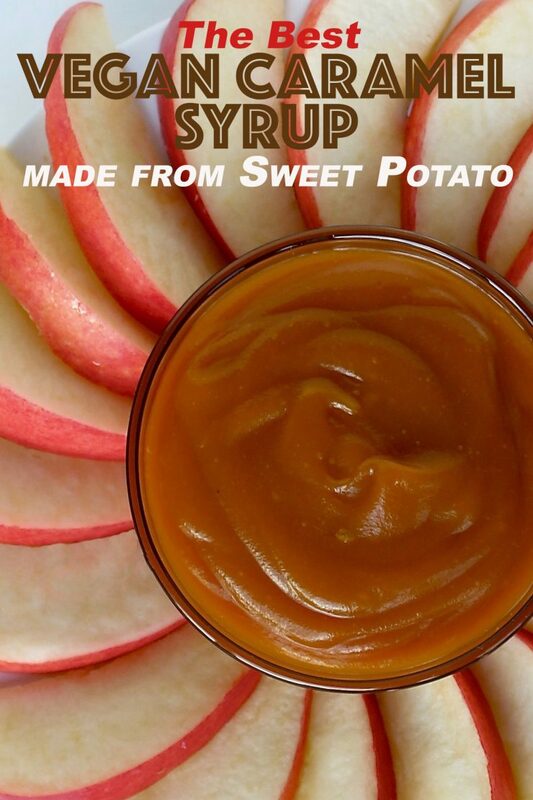 Substituting heavy cream with mother nature’s finest (sweet potato), brought to life a unique and divine condiment. Maintaining the rich, creamy, butter taste without the fat associated with this delicious syrup was definitely accomplished! 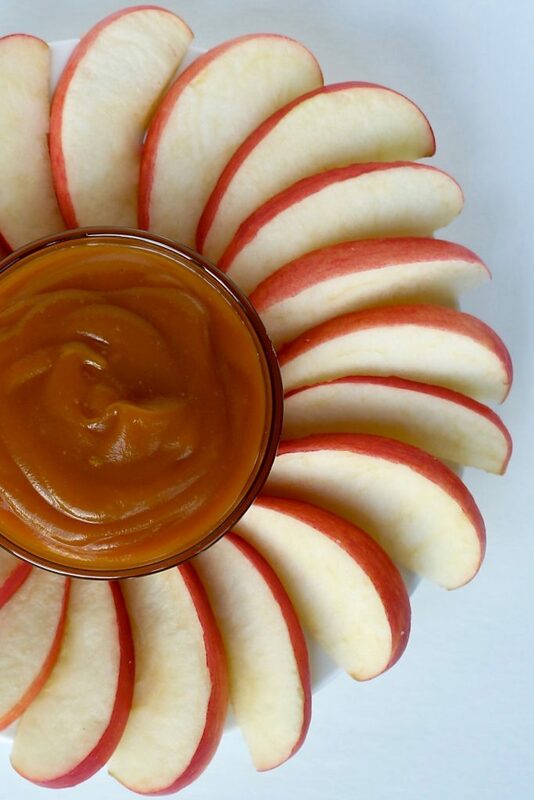 When do you use caramel?